There’s an old saying that goes, “Be true to your teeth or they will be false to you.” In other words, it’s important to make dental hygiene a top priority, otherwise, you will end up suffering consequences. If you don’t stay on top of caring for your teeth, your smile could become lackluster, you could sustain serious oral health issues, or worse, your teeth could end up falling out! It’s common knowledge that caring for your teeth is a must; however, with the hectic pace of day-to-day life, neglecting your oral health can happen. We understand that things can get crazy and you might need a refresher on how to properly care for your teeth, which is why we created this handy list of dental hygiene do’s and don’ts. Brush regularly. Make sure you brush on a regular basis. Brushing at least twice a day, once in the morning and once at night, is highly recommended. Also, after brushing at night, avoid eating or drinking anything other than water. Sugars and acids in foods and beverages (even in healthy options) can erode tooth enamel while you sleep, which could lead to tooth decay, bad breath, and various other issues. Floss regularly. Flossing is just as important as brushing. We often find that even the most diligent tooth brusher fails to floss. We suggest flossing at least once a day, though if you tend to eat a lot of foods that get stuck between your teeth, you might want to floss more often. Flossing not only removes those food particles that get stuck between your teeth, but it also clears out plaque buildup. Don’t forget to get those back teeth, too! Change out your toothbrush. If you notice that the bristles on your toothbrush are wearing down, it’s time to get a new one. If the bristles are still in good condition but three months have passed since you last got a new one, replace it. If the bristles are worn down, they won’t effectively clean your teeth. Also, bacteria can accumulate on the bristles which is why it’s important to change out your toothbrush at least once every three months, even if the bristles are holding strong. Also, if you have had a bacterial or a viral illness, like the flu, get a new brush. You don’t want those germs getting you sick again! Rinse. We recommend using a mouthwash that contains fluoride to rinse out your mouth at least once a day. It will help keep your breath fresh, as well as strengthen the enamel of your teeth. If you don’t have access to mouthwash, rinse with lukewarm water. Use a hard-bristled brush. Brushes with hard bristles can scrub the enamel off of the surface of your teeth. They can also damage your gums, which can cause them to bleed and increase the risk of infection. Plus, a hard-bristled brush is just uncomfortable! How likes feeling pain? Brush too hard. A lot of people are under the assumption that the harder they brush, the cleaner their teeth will be. That’s not true at all! Just like a hard-bristled brush can erode tooth enamel, so can aggressive brushing. It can also damage your gums, which are extremely delicate. Use tobacco. This is a big no-no! It can yellow your teeth, cause bad breath, and increase the risk of various oral health problems. Plus, it can lead to various other health-related issues. Steer clear of smoking and chewing tobacco at all costs! Drink water regularly. You want to make sure that you drink plenty of water so that you stay well-hydrated; however, drinking water is also important for the health of your mouth. It helps to rinse away sugars and acids that can accumulate on your teeth and cause decay. It’s especially important to drink water after eating foods or beverages that contain a lot of sugar. Forget routine dental appointments. You definitely don’t want to skip this one! Routine dental exams are an absolute must if you want to keep your mouth healthy. Your teeth will be assessed and if any signs of decay or other issues are present, they can be treated before they become major problems. You will also receive a full cleaning from a dental hygienist, which is important because even if you are diligent with caring for your teeth, you might be overlooking those hard-to-reach areas and a hygienist will ensure that everything is spick and span. If you haven’t scheduled a dental exam in a while, you are looking for a new dentist because you recently moved or just aren’t happy with your current one, or you think that there might be an issue with your oral health, give us a call! 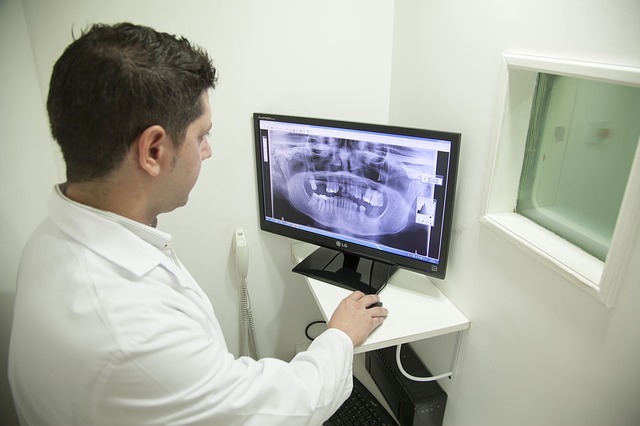 We offer a range of dental health services, from general care to cosmetic procedures and everything in between. The health of your mouth is our top priority! We look forward to making your look and feel the absolute best.